Chemical separations are of central importance in many areas of environmental science, whether it is the clean up of polluted water or soil, the treatment of discharge streams from chemical processes, or modification of a specific process to decrease its environmental impact. 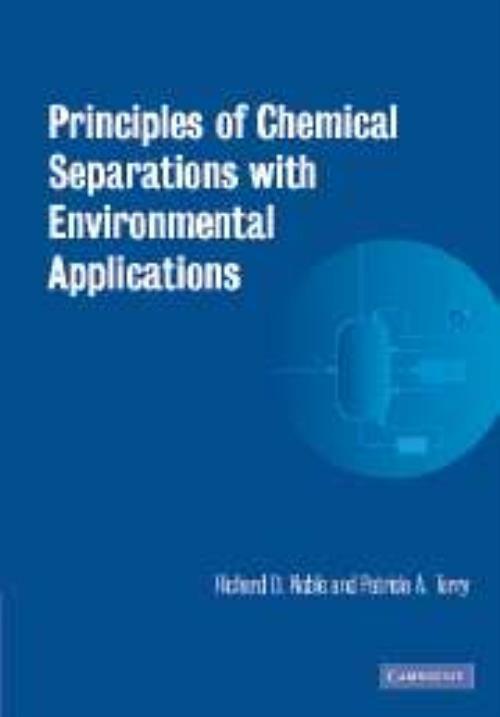 This book is an introduction to chemical separations, focusing on their use in environmental applications. The authors first discuss the general aspects of separation technology as a unit operation. They also describe how property differences are used to generate separations, the use of separating agents, and the selection criteria for particular separation techniques. The general approach for each technology is to present the chemical and/or physical basis for the process and explain how to evaluate it for design and analysis. The book contains many worked examples and homework problems. It is an ideal textbook for undergraduate and graduate students taking courses on environmental separations or environmental engineering. Richard D. Noble University of Colorado, Boulder. Richard Noble received his PhD from the University of California, Davis. He is a Professor of Chemical Engineering and Co-Director of the Membrane Applied Science and Technology Center at the University of Colorado, Boulder. Patricia A. Terry University of Wisconsin, Green Bay. Patricia Terry received her PhD from the University of Colorado, Boulder, and is an Associate Professor in the Department of Natural and Applied Sciences at the University of Wisconsin, Green Bay. She has also held positions at Dow Chemicals and Shell Research and Development.